Recently, Lady Gaga came forward and revealed about suffering from ‘Fibromyalgia.’ She took Twitter to apologize for canceling the performance in Brazil because she had to be hospitalized due to severe pain. Just a few days back, Lady Gaga had also announced her upcoming documentary on Netflix, “Lady Gaga: Five Foot Two,” where she’ll be speaking about her condition in order to create awareness about Fibromyalgia. Fibromyalgia is a long-term or chronic disorder. It’s associated with widespread pain in the muscles and bones, areas of tenderness, and general fatigue. According to the National Fibromyalgia Association, an estimated 3% to 6% of the world’s population suffers from the condition which is roughly about 450 million people. Once at the top of her game in Marketing, Arushi had to leave her career midway because she was in severe pain. Due to lack of awareness, even amongst the doctors, her diagnosis was delayed for 2 and a half years. However, Arushi never gave up hope and started her own executive search and marketing consultancy business from home. Though she’s a successful entrepreneur now, Arushi is an artist by heart. She hasn’t sat for five years now and can only stand for a maximum of half an hour at a stretch, but whenever she’s standing, she creates something. She has also taken up writing and through her blog, “Photosynthesis,” she wants to take in everything bad that has happened to her and photosynthesize it to create her own Oxygen, her own happiness, just like plants take in CO2 and all other bad elements and photosynthesizes it into Oxygen. An optimistic writer, Arushi wants to create awareness about Fibromyalgia so that people can understand how it is to live with the condition, which unfortunately is invisible to people thereby making them either ignorant or unempathetic towards people suffering from the condition. Just like Lady Gaga aims to spread awareness about it through her Netflix documentary, Arushi is focusing on making a difference through her blog. In one of her posts, she explains Fibromyalgia and termed it as Monster F. In her “Date with Monster F” she explains the condition in a light and comprehensive manner. Giving a glimpse into how it is to actually deal with the pain, Arushi penned down her thoughts on “Insta Everything,” when Monster F didn’t let her sleep whole night long. However, in another recent post of her acknowledging Lady Gaga’s revelation of suffering from Fibromyalgia, Arushi has presented her conflicting thoughts. She discusses why Lady Gaga addressing Fibromyalgia might be a good and also not-such-a-good thing. P.S. 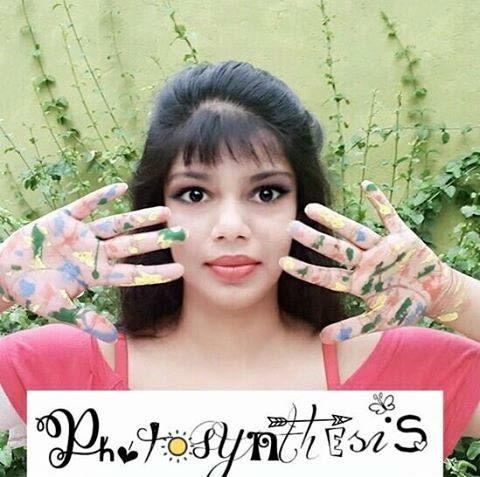 You can read Arushi’s posts on her blog here or follow her Facebook page, Photosynthesis, here, and help her create awareness about this chronic pain condition.